The car is loaded and we are heading out today. It's Monday and we have to be in San Diego by Wednesday afternoon. We have 1400 miles to go to reach our destination. If we were to trade off drivers and not stop (ever) it would only take us 22 hours and a few minutes. Our plan is to drive 10 hours today, up to 8 hours on Tuesday and finish out the last stretch Wednesday morning. Even though Comic-Con doesn't officially start until Wednesday (at least the prefunction events) the adventure begins for us when we pull out of the driveway. We love roadtrips. Getting there is definitely part of the adventure. When the kids were little we knew we would be going on several roadtrips with many of them being multi-day drives to get to where we needed to go. To make this time be more fun for them and for us we always incorporated songs and games and pit stops along the way to make this part of the trip part of the adventure. Reaching our destination was just a bonus. After we decided we would drive instead of fly we went into roadtrip mode. Cecilia was in charge of putting together the roadtrip playlist. I was in charge of making the arrangements for the car we would drive and the places we would stay along the way. Cecilia has a general roadtrip playlist for driving through every other state other than California and then she has a California playlist for our 12+ hours of driving down I-5 from the Oregon border to San Diego. CLICK HERE to sing along with us. Do you have a favorite California song? 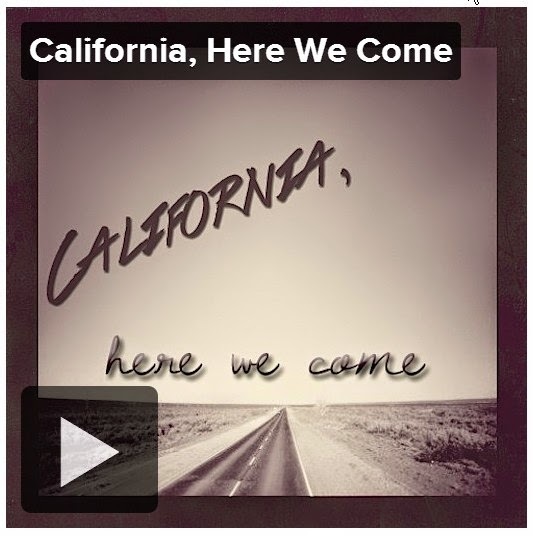 Is your fav California song already on our playlist?